For a potential clients website I wanted to check the XML sitemap for errors. I had a suspicion the file contained links to that no longer worked (301 redirects and 404 errors) but without having access to the Search Console I had no quick way to check. 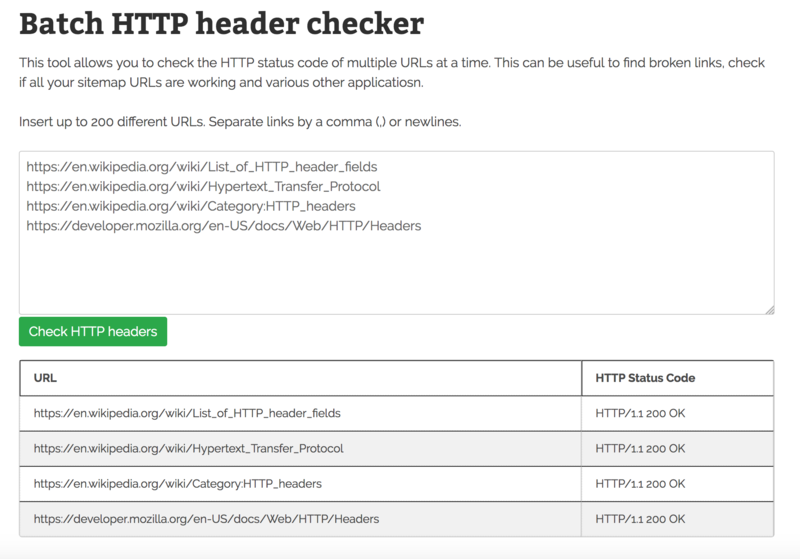 To solve this I wrote some PHP code to get the HTTP request headers of an array of URLs. I thought someone else might find it useful so after polishing it a bit I published it online.